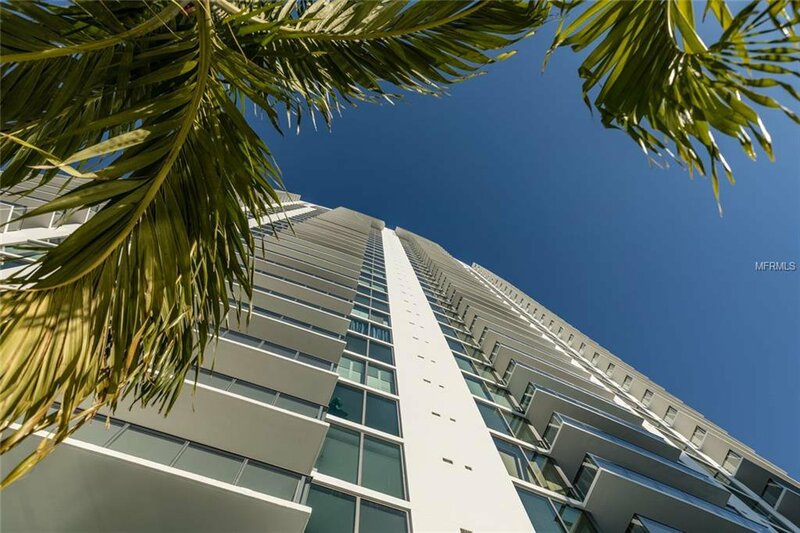 Live Elevated. 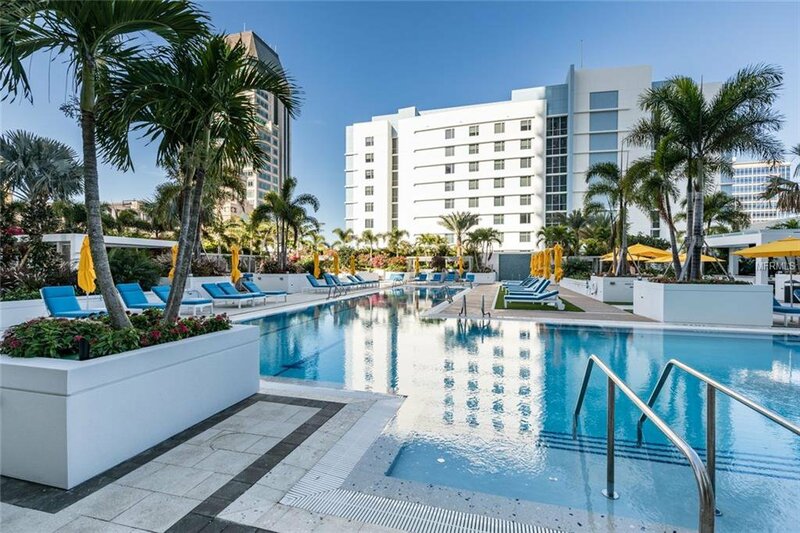 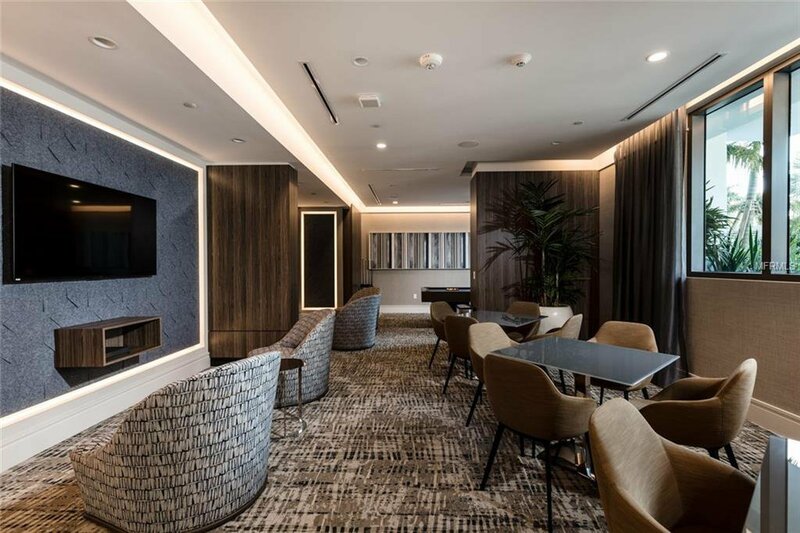 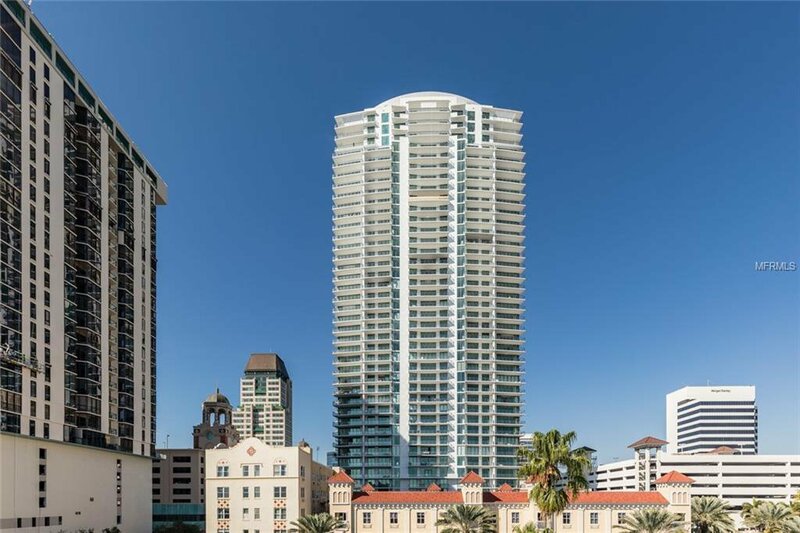 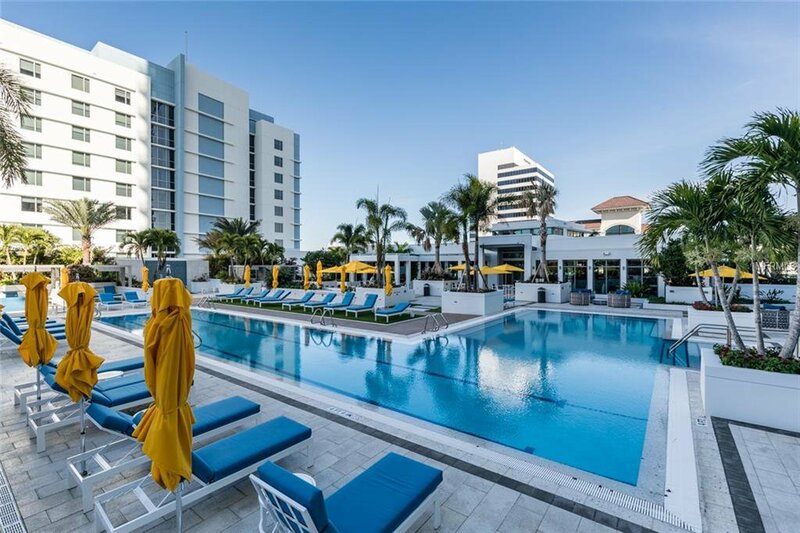 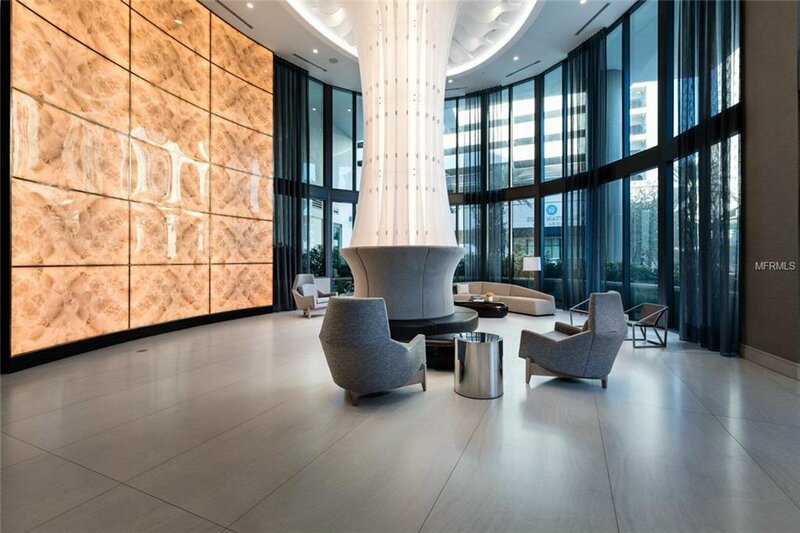 Welcome to ONE St. Petersburg, the city’s newest luxury highrise, located in the heart of downtown. 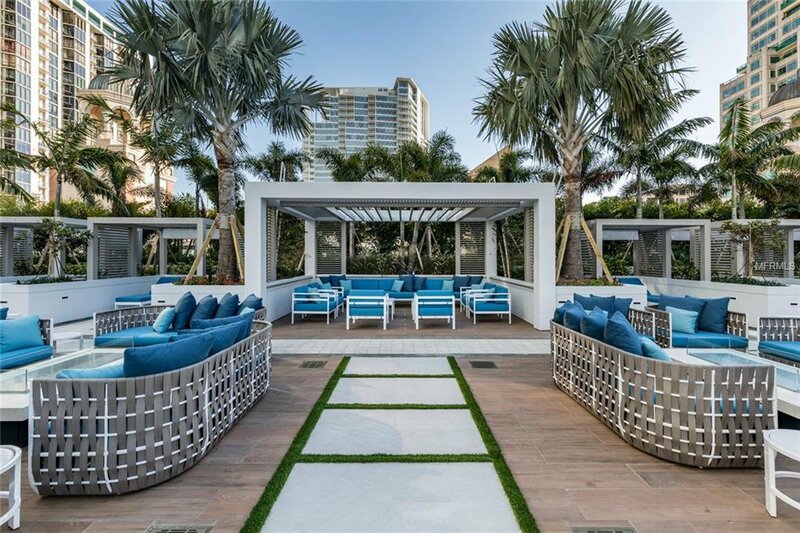 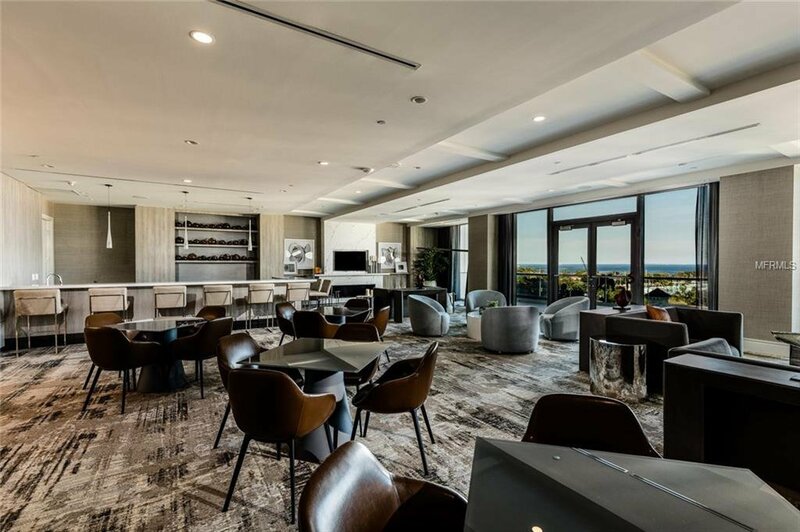 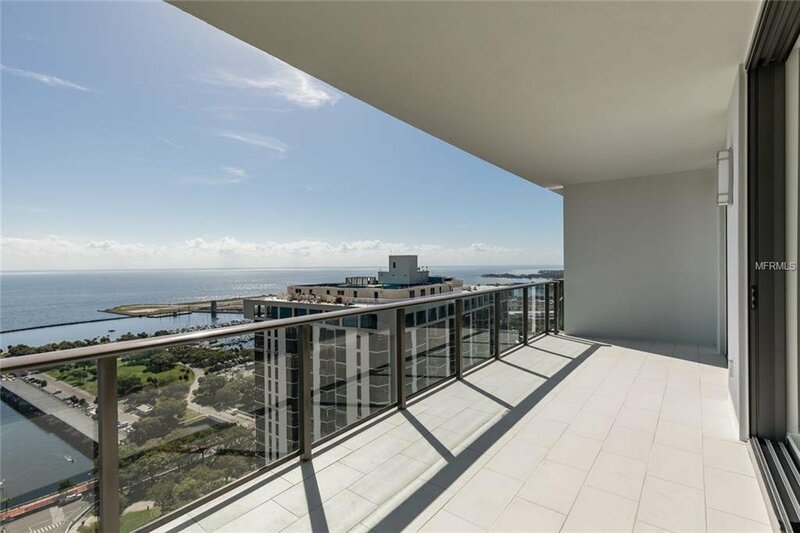 Soaring 41 stories over St. Pete’s skyline, this contemporary residence is unlike anything in the area. 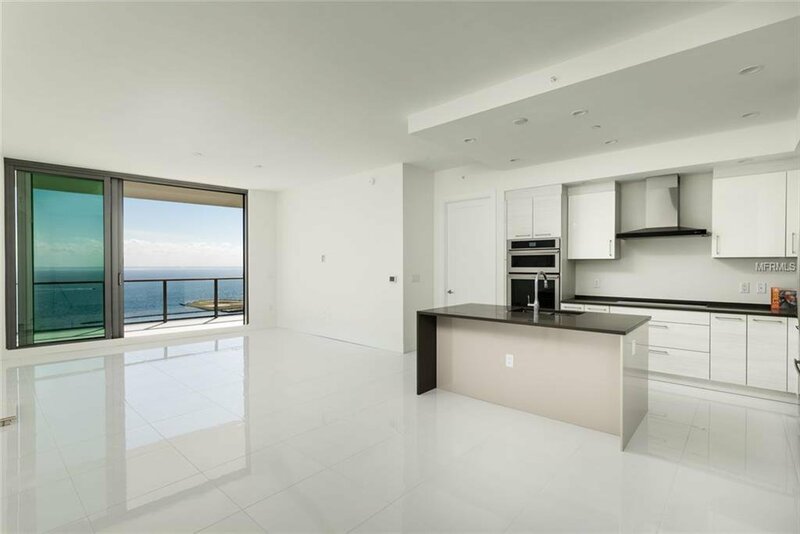 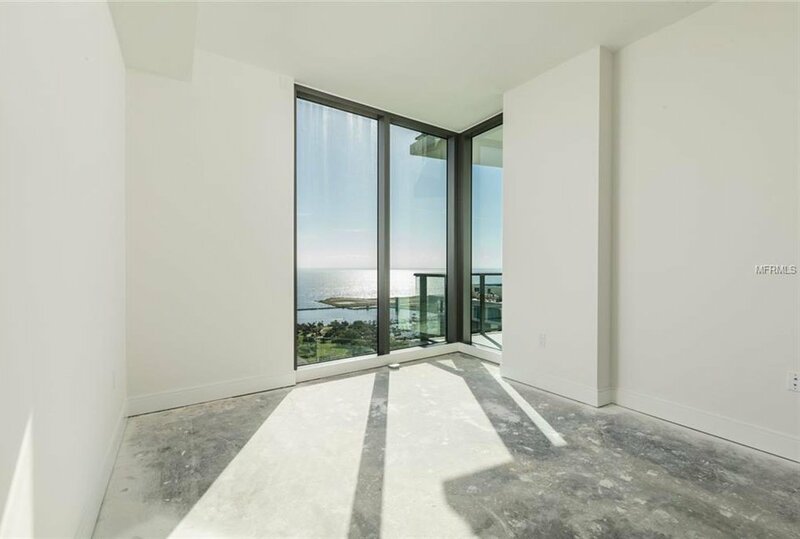 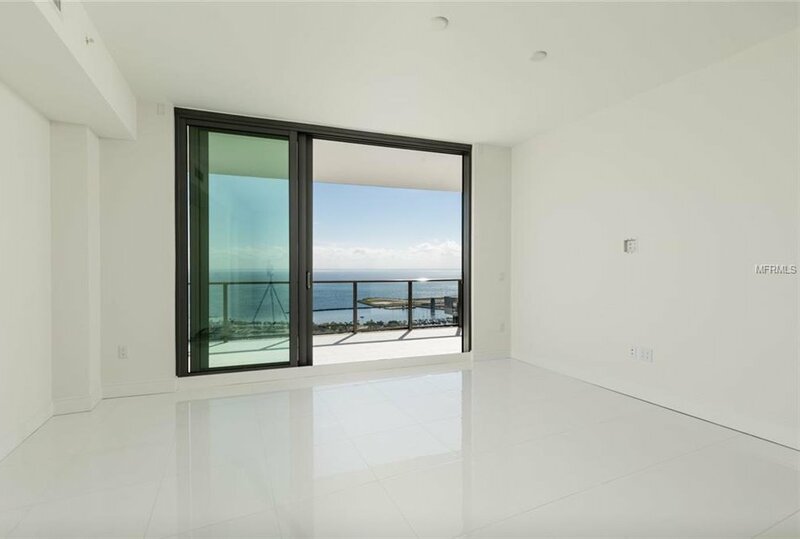 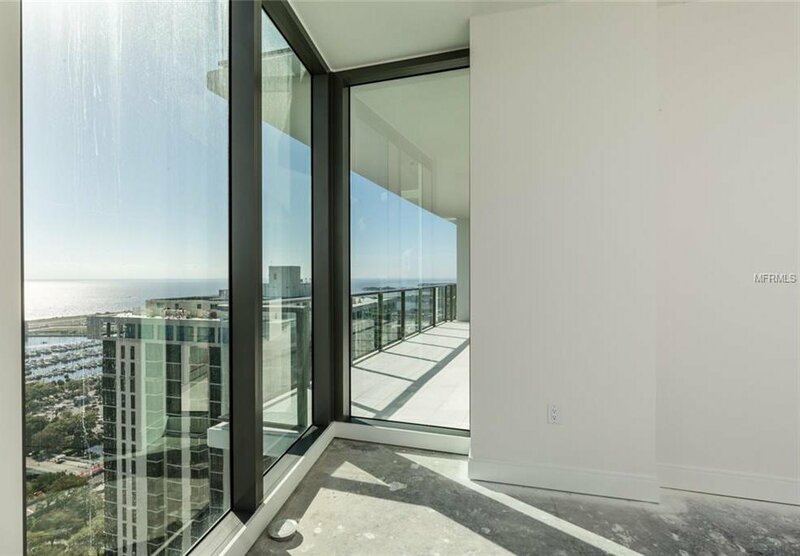 3002 was thoughtfully selected due to the unparalleled views it offers. 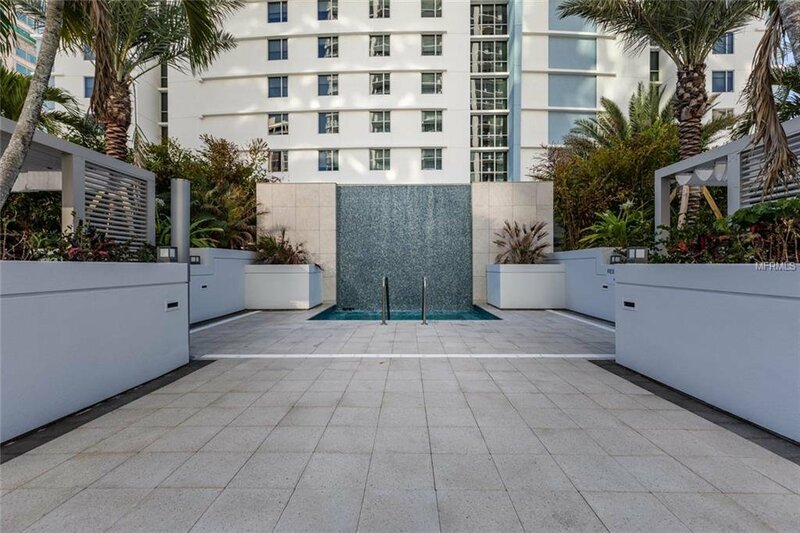 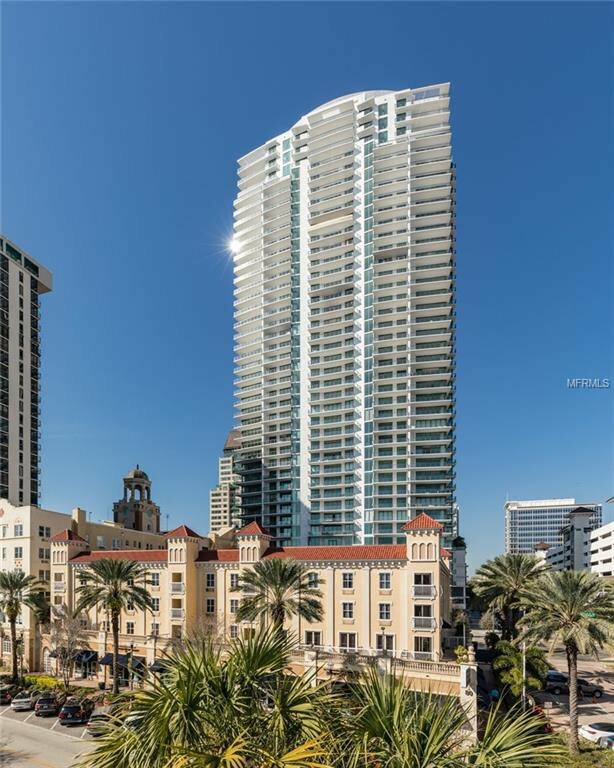 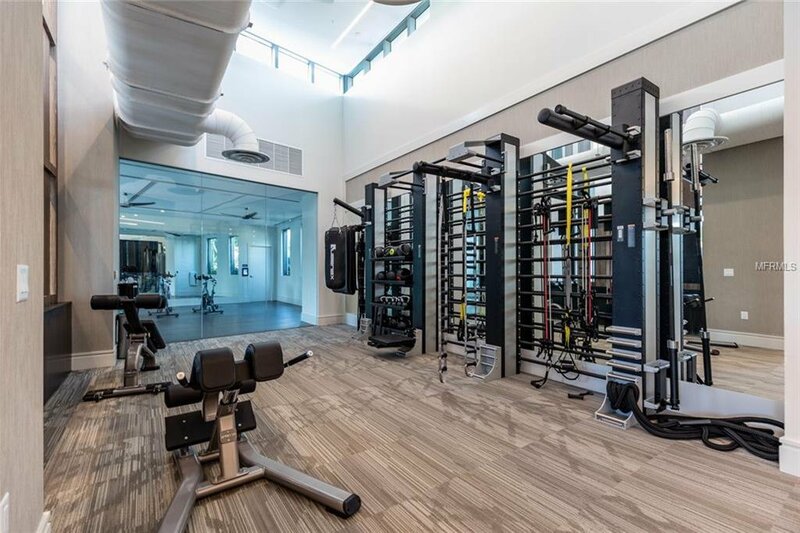 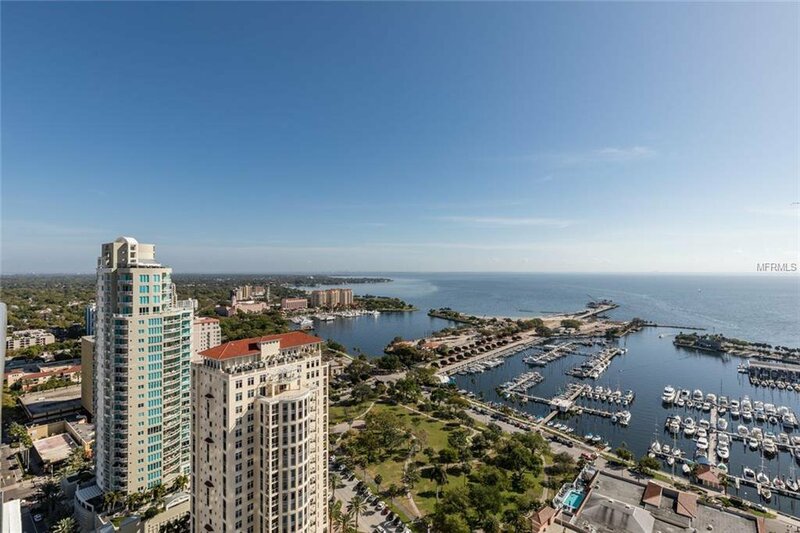 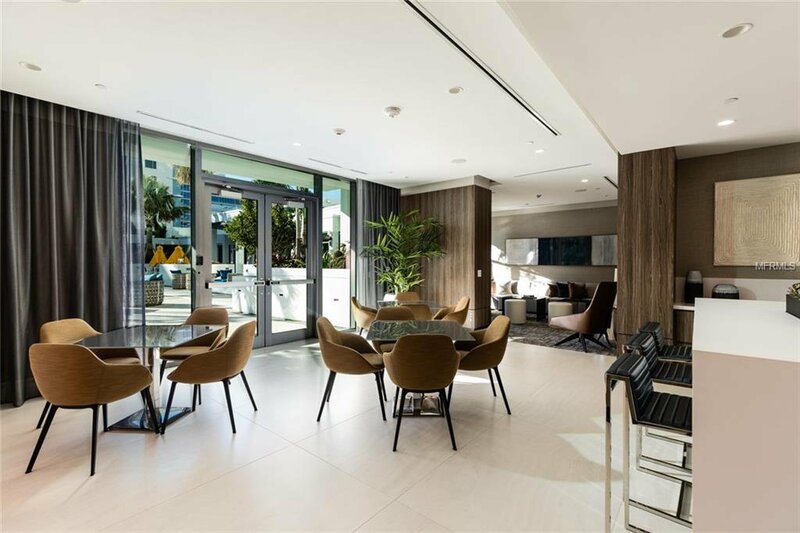 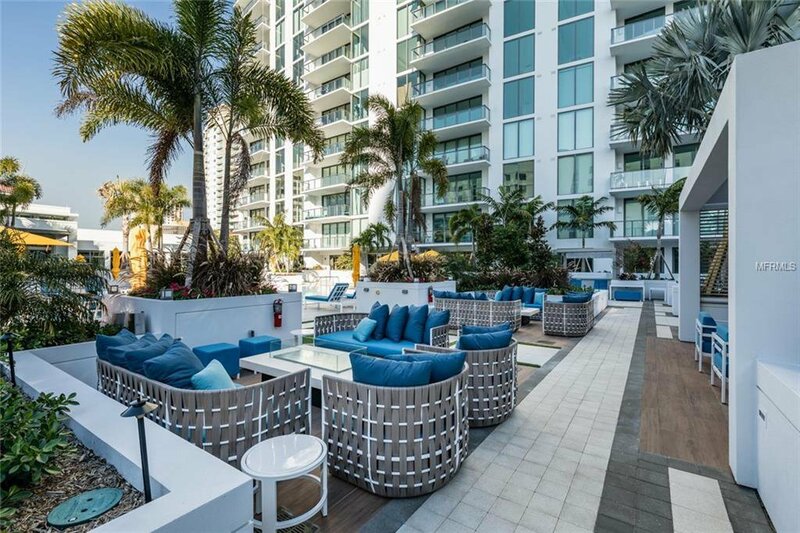 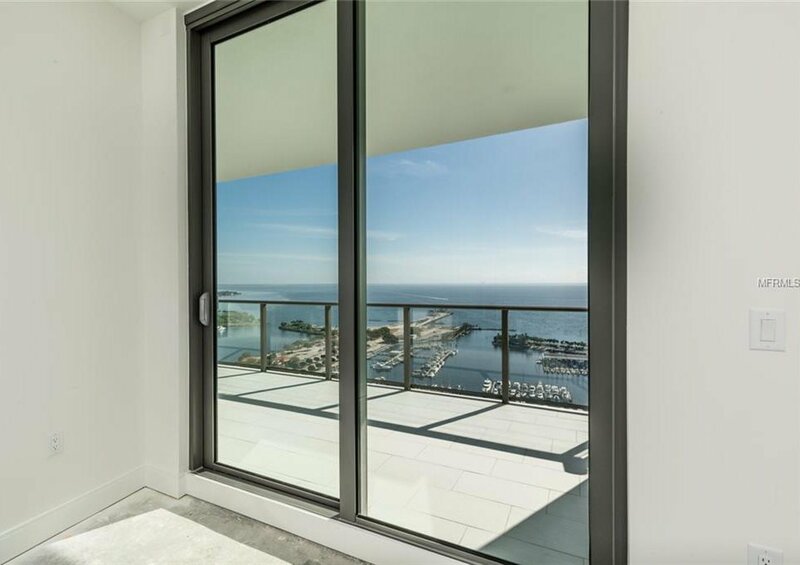 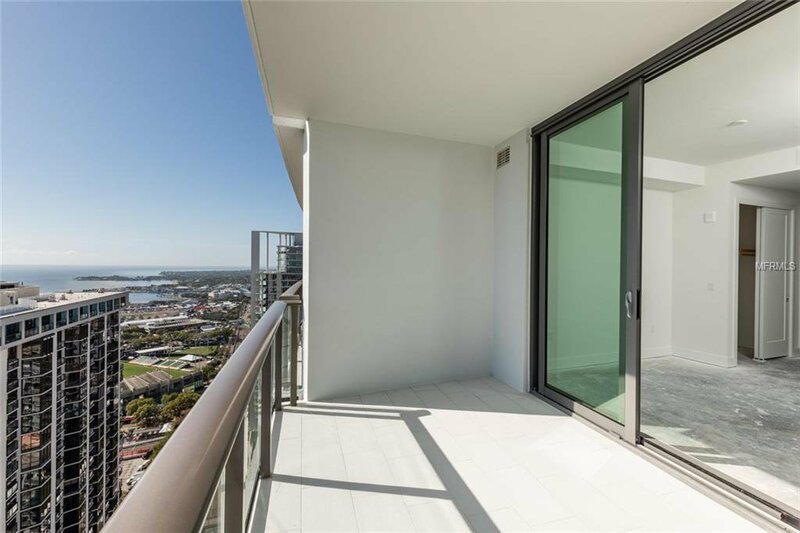 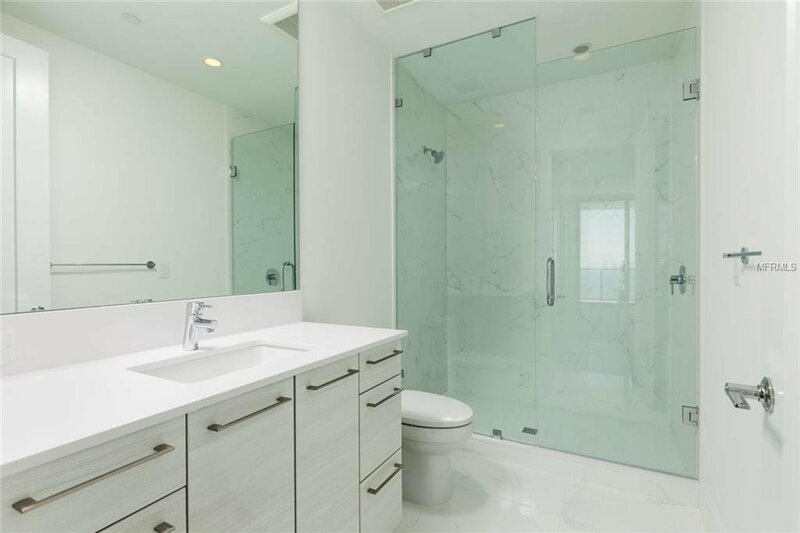 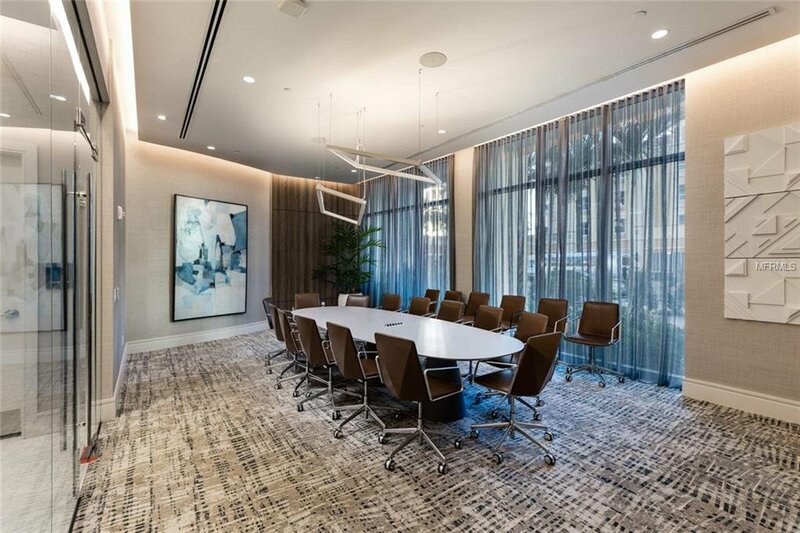 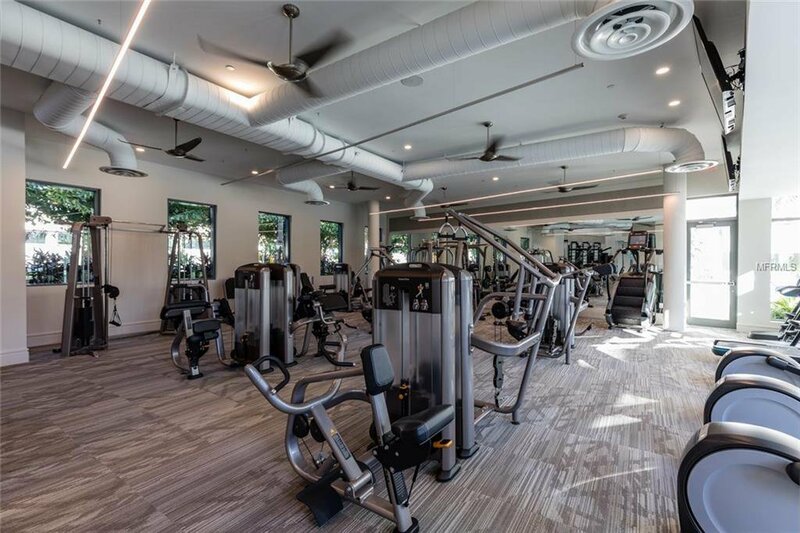 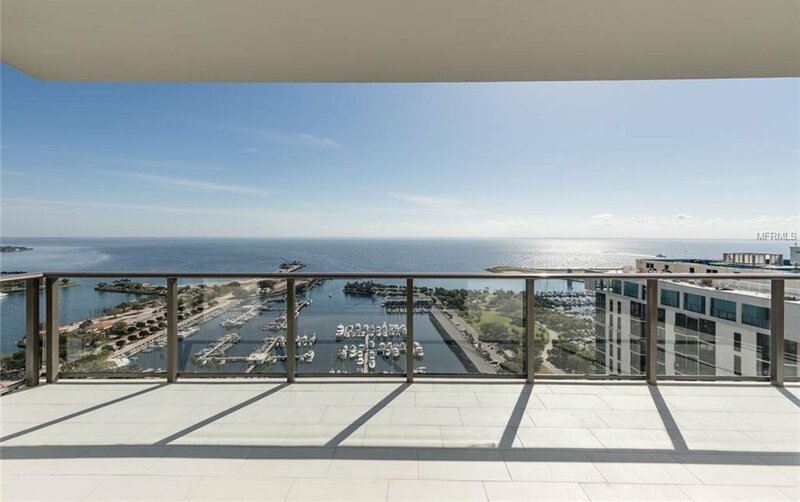 Boasting floor to ceiling windows along the East side of the residence and 28’ (254 sqft) terrace, 3002 presents awe-inspiring panoramic views of the sparkling Bay water, Downtown Tampa, new pier, Albert Whitted Airport and beautiful green waterfront parks. 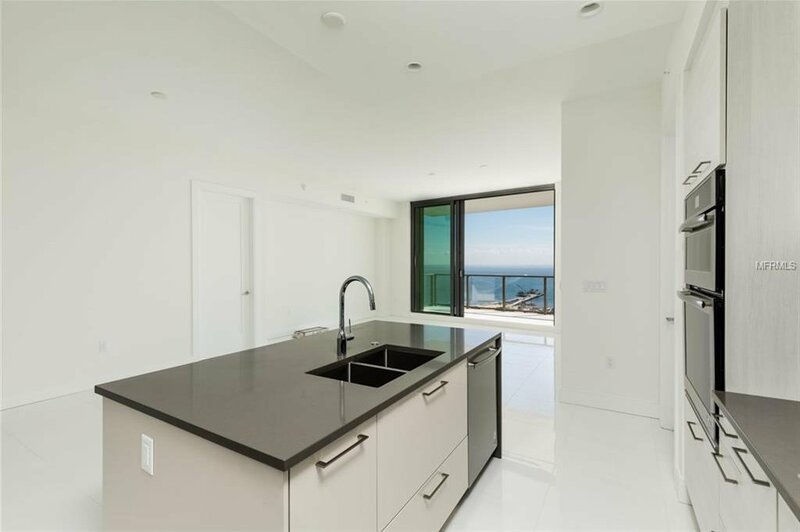 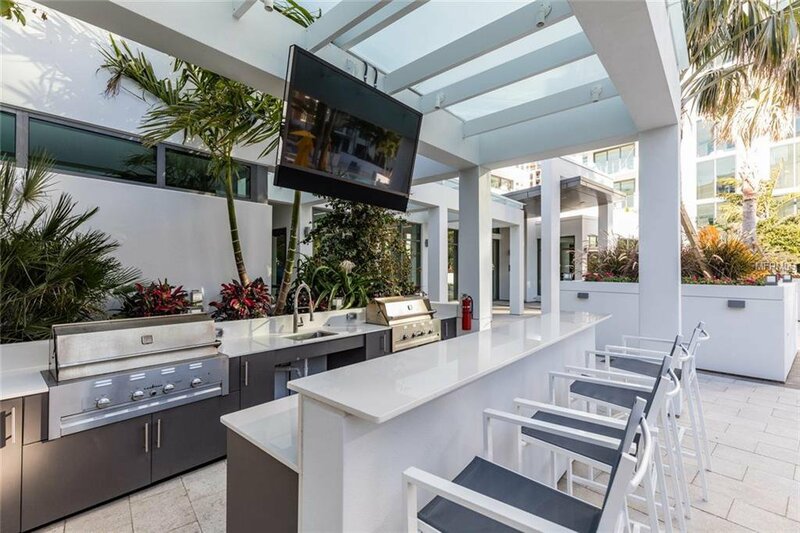 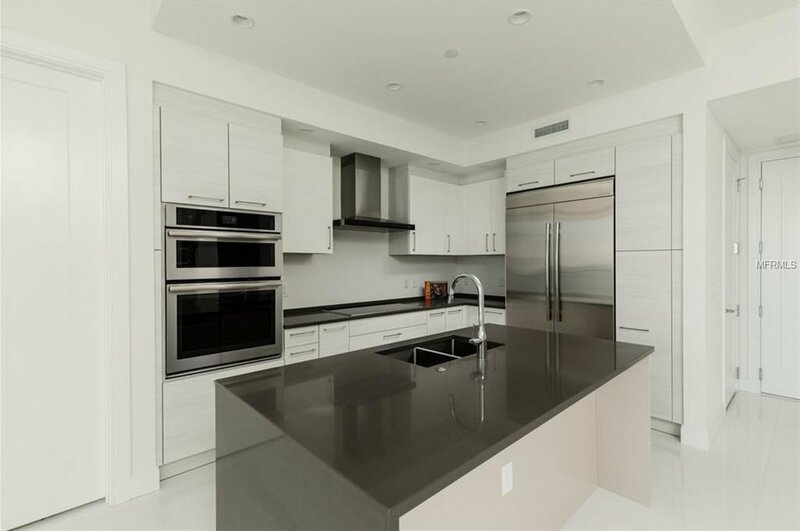 The contemporary design boasts an open floor plan and gourmet kitchen complete with an oversized island for entertaining, quartz countertops, Nolte premium imported European cabinetry and Jenn-Air Euro-Style Stainless Steel appliances and spectacular water views from every angle. 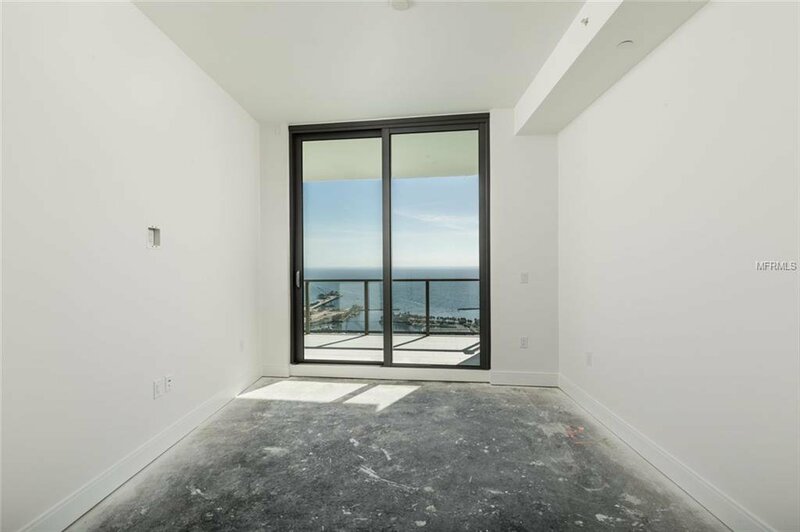 The Owner's Suite and Guest Bedroom floors have been left unfinished to give new owner creativity to finish to their design preference. 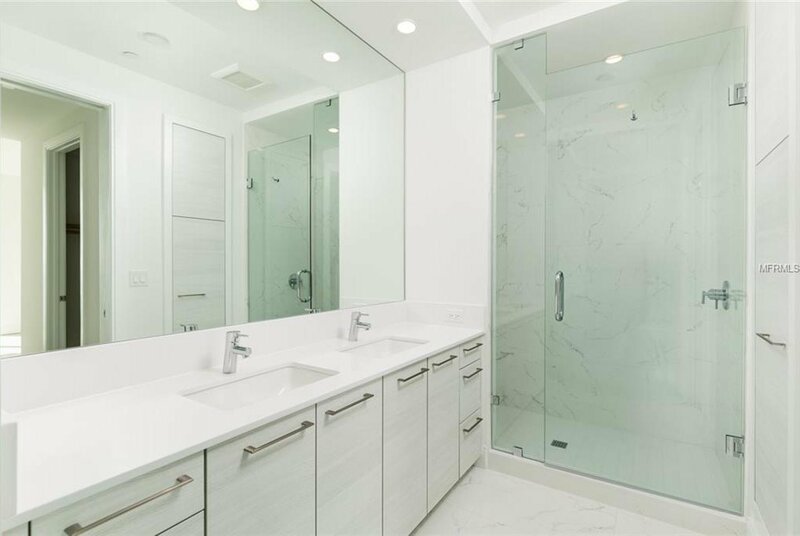 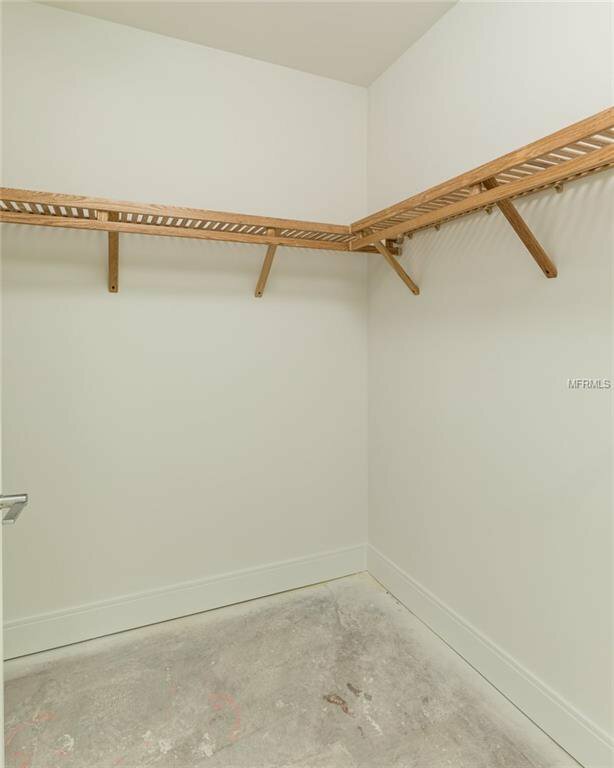 The Den is an ideal flex room with the powder room located nearby, perfect for home office or guest room. 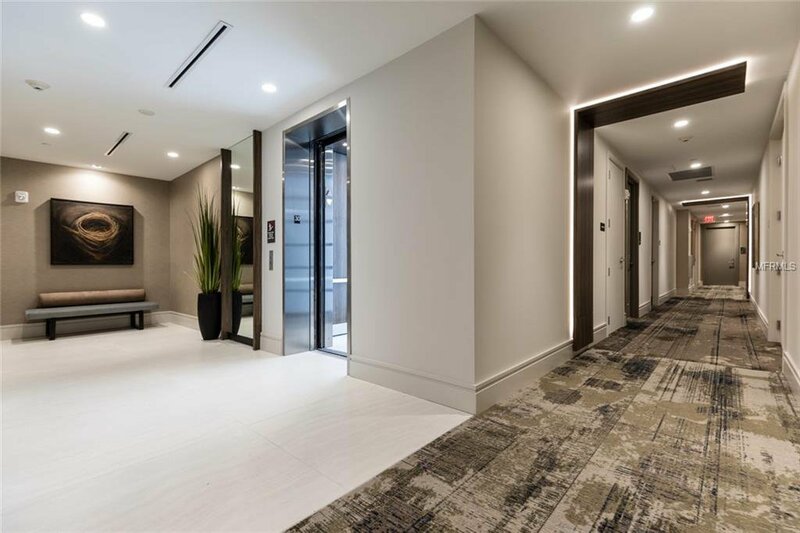 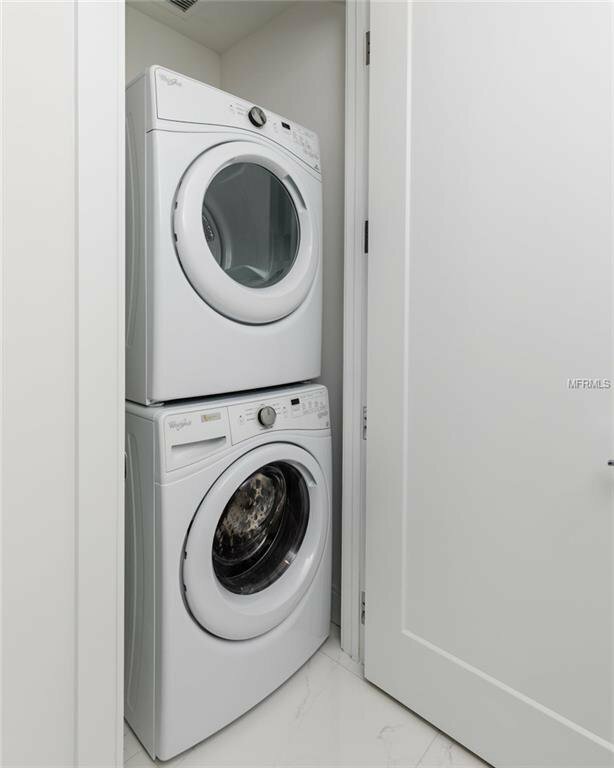 3002 offers two ADJACENT and LEVEL parking spaces. 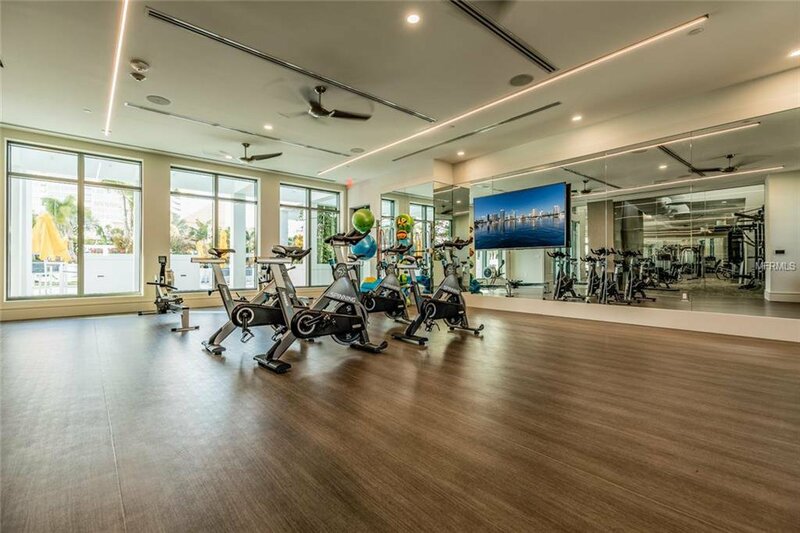 Resort style amenities include 24/7 security and valet parking, 30’ high Atrium Lobby with full-time concierge, state-of-the-art 5,000 sqft fitness facility, 75' lap pool with poolside cabanas and fire pits, waterfall hot tub, outdoor kitchen, 3 owners' lounges, private bar, club room with catering kitchen, formal dining, daily coffee service, on-site property manager and residents’ activity coordinator.